Navigating the complexities of network infrastructure can be a daunting task. Organizations who need bandwidth, colocation, and cloud services must parse numerous considerations, such as technologies, locations, providers, and pricing models, in order to configure the right solution. Yet the entire end-to-end purchase experience for these customers should be fast and frictionless in order to match the pace of modern business. 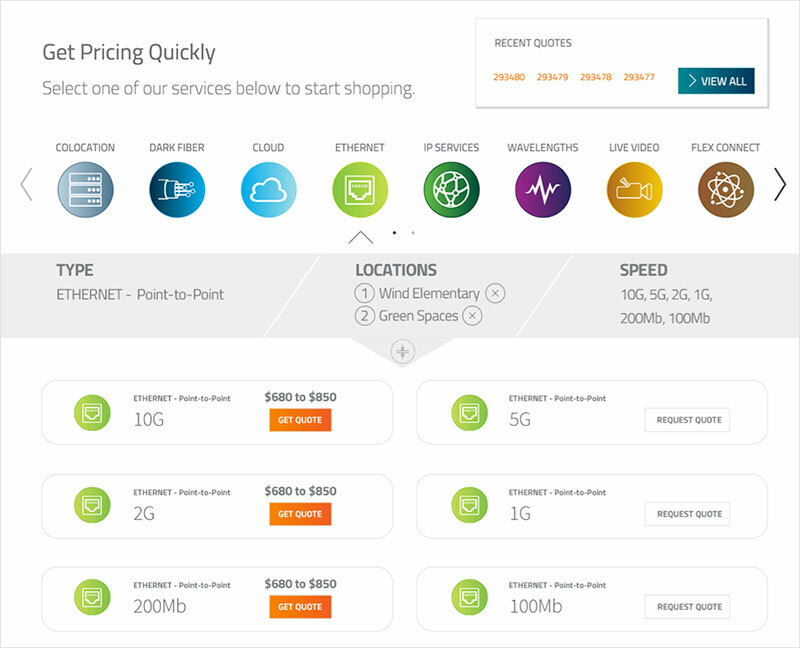 Could buying bandwidth be as easy as online shopping? Zayo is a leading provider of Communications Infrastructure services across the U.S., Canada, and Europe. The company delivers state-of-the art network services that empower innovative, modern businesses. To better serve their future-forward customers, Zayo wanted to transform their customer engagement model and deliver a sophisticated e-commerce experience. They wanted selecting and purchasing bandwidth services to be as easy as buying shoes or making online travel reservations. Their goal: a process that takes 2 minutes or less. 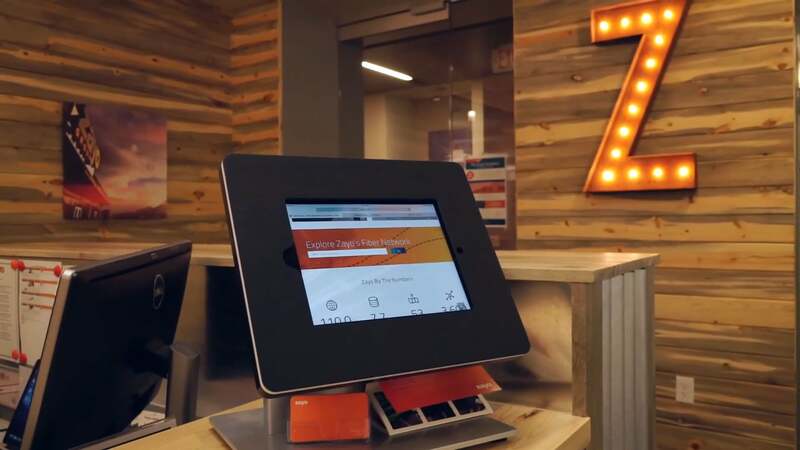 In 2013, Zayo launched Tranzact, a self-service platform that guides customers through the selection, purchase, and management of Zayo’s suite of products across their global network. Tranzact enables Zayo customers to obtain competitive real-time price quotes, place orders, manage service delivery, view service inventory, view invoices, open trouble tickets, and manage their existing sites and services. Tranzact simplifies the way customers do business with Zayo and empowers them with tools to help them more easily make purchasing decisions. 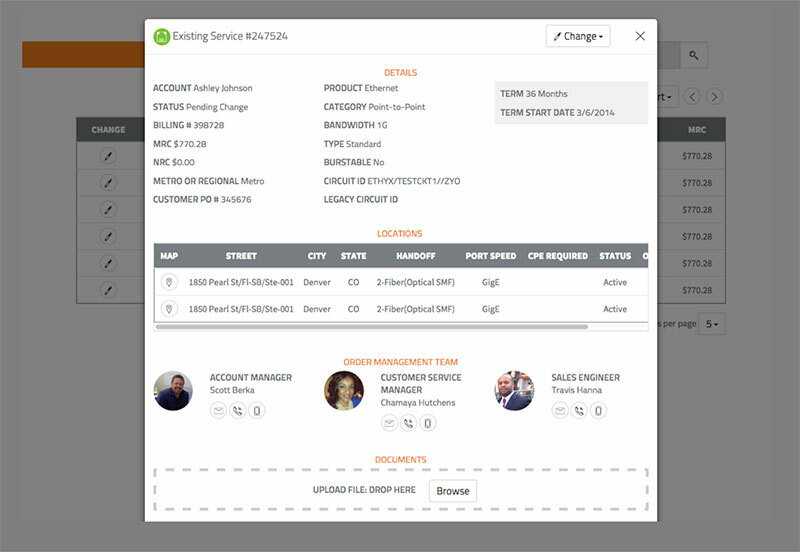 Since launch, Zayo has focused on new Tranzact releases that continue to improve the user experience. Inspired by the simplicity of Zappo’s, they moved from an insurance-style quote generation model to a ‘browse-per-parameters’ shopping experience. Zayo uses the Salesforce Platform to drive their entire end-to-end business, and every employee has access to some aspect of the platform. The previous version of their platform, Tranzact 2.0, was built using Force.com and Community Cloud tied to Sales Cloud, Service Cloud, and Data.com. 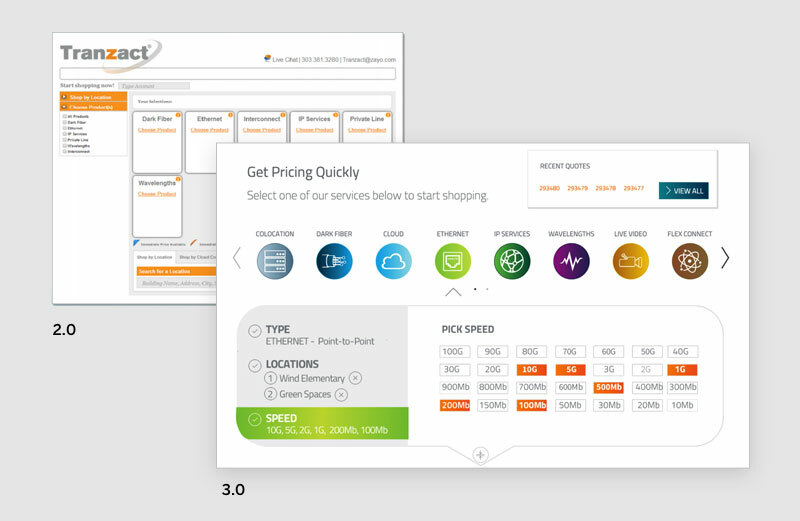 But for Tranzact 3.0, they added Heroku to the mix to meet three key goals: 1) more design and architectural flexibility; 2) a faster and more engaging user experience; and 3) the ability to better support a complex, data-driven purchase funnel. The speed and scalability of the Heroku platform gave Zayo what they needed to support their performance goals, and Heroku Postgres helped them meet their data security requirements in an environment with a lot of moving parts. In addition, Heroku’s polyglot support enabled the team to choose the best language to build their highly sophisticated 3.0 UI and run the queries and callbacks their system needed at the speed that customers needed. Heroku’s language flexibility also allowed Zayo to recruit and onboard developers faster by broadening the skillset required. Such diversity gave their team the freedom to choose the language that best fit their project–and experiment along the way in order to innovate and build the best experience possible. To selectively sync relevant data between Salesforce and Heroku, the Zayo team uses Heroku Connect, funneling data into a Heroku Postgres database. They use Postgres’ latest 9.4 JSON-b features to save some JSON data outside of Salesforce and directly into Postgres. When it comes to version control and deployment, the team uses GitLab and particularly likes the pull request feature to do code reviews, which they find to be an efficient model for them to manage. Once launched, Tranzact 3.0 running on Heroku will take an already comprehensive platform to the next level. Zayo customers, agents, partners, and resellers will gain the ability to create a customized solution and order Zayo products anytime, anywhere via a high-performance web or mobile experience. Users can search over 100,000 worldwide locations and drill down to specific buildings, data centers, and cloud providers, obtain real-time quotes and compare prices, and follow simple steps to configure and place their order. Live Chat is available to help when needed. By building their app on Heroku, Zayo can provide a simple, elegant user experience for customers that masks the complex purchase process underneath. Heroku’s scalability will allow Zayo to grow their online business while maintaining peak performance. With Tranzact 3.0 on Heroku, buying—and selling—bandwidth is refreshingly fast and frictionless. Is your company building a streamlined e-commerce experience across a suite of complex products? Heroku provides Zayo with the security, performance, and language support they need to build their next-generation e-commerce platform. For more information, contact Heroku today. Based in Boulder, CO, Zayo Group provides Communications Infrastructure services, including fiber and bandwidth connectivity, colocation and cloud services, to the world’s leading businesses. Customers include wireless and wireline carriers, media and content companies, finance, healthcare, and other large enterprises. Zayo’s 110,000-mile network in the U.S., Canada, and Europe includes extensive metro connectivity to thousands of buildings and data centers. Zayo provides clients with flexible, customized solutions and self-service through Tranzact, an innovative online platform for managing and purchasing bandwidth and services. For more information, visit zayo.com.